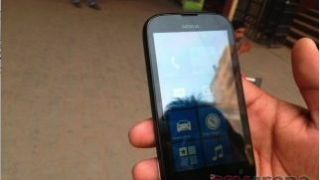 Images supposedly from rumoured Nokia Lumia 510's camera have appeared online. The device, said to be running the bridge Windows Phone 7.8 OS rather than the new WP8 operating system, had been spotted in the wild earlier this month. And now EXIF photo data, which names the model used to take the snap, seems to have confirmed the 510's existence, prior to the expected launch. The Lumia 510 would naturally sit at the bottom of Nokia's Windows Phone offering and would be tailored towards developing markets, with an initial launch in China, according to recent reports. It is thought that the Lumia 510 will apparently boast a 4-inch 800 x 480 display, 4GB of internal storage and a mere 256GB RAM. A bargain basement price point of $150 (£90) has been mooted, as Nokia looks to reacquire the bottom end of market following the long, drawn-out demise of the Sybian OS.